After this nail-biting finish in Pasadena, it’s easy to see why anyone might need a break from the madness of college football. And after Southern California’s epic win over Penn State and Georgia’s double-overtime thriller over Oklahoma over the past two years in Pasadena, the Rose Bowl got another matchup full of late-game fireworks. This game could be Haskins’ farewell to Ohio State as well, if the sophomore goes pro. The Heisman Trophy finalist threw his 50th TD pass of the season in the first half while picking away at the vaunted Washington secondary minus injured Taylor Rapp, the second-team All-American safety. Gaskin became the fourth running back in NCAA history with four 1,200-yard seasons during the third quarter, but Ohio State increased its lead with J.K. Dobbins’ TD run. 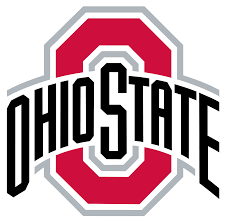 Although Meyer’s final season began with an embarrassing three-game suspension over his mismanagement of domestic abuse accusations against former assistant Zach Smith, Day filled in capably during his absence. Meyer then propelled the Buckeyes to another largely dominant regular season, even without star defensive lineman Nick Bosa — although they missed out on the playoff thanks to one blowout loss to Purdue. Washington: The loss wrapped up a nightmare football season for the Pac-12. The Huskies were the class of the conference, but they’ll be frustrated with a campaign bookended by losses to national powers Auburn and Ohio State. Ohio State: Day is now the 25th head coach in program history, and he has plenty of work to do. Haskins could be the first quarterback drafted if he leaves, and he’s just one key contributor who must be replaced. But Meyer has built a finely tuned machine in Columbus, and he seems certain Day is the man to drive it forward. Washington: Replacing the most prolific quarterback and running back in program history will be no easy task, but many Huskies fans are excited to see what the next generation of skill-position players can do. Petersen has built a powerhouse in his half-decade in Seattle, and the Huskies’ recruiting skill should keep them in position to contend for a return trip to Pasadena almost every year.